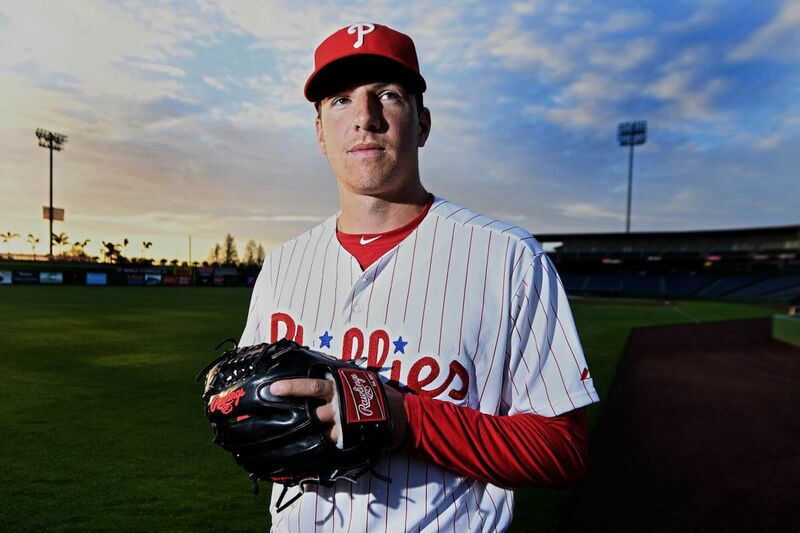 Nick Pivetta will start today’s Grapefruit League opener. CLEARWATER, Fla. – The Phillies, riding the momentum of yesterday's shutout win over a college team, open their Grapefruit League schedule today against the Blue Jays at 1:07 p.m. in neighboring Dunedin. Pitchers: Nick Pivetta, Mark Leiter Jr., Francisco Rodriguez, Victor Arano, Hoby Milner, Ricardo Pinto. The Phillies will wear black Stoneman Douglas High School hats for the entire game. Each MLB team will wear the hats for batting practice, and it is up to the team if it wants to wear them during its spring-training opener. The hats will then be signed and auctioned off to benefit the victims of last week's school shooting. Cozens struck out twice yesterday against the University of Tampa, continuing a trend that was too prevalent last season. No one in the Phillies organization has more raw power than the 6-foot-6 Cozens. But making contact can sometimes be a problem. He struck out 194 times last season in 135 triple-A games. That is something that needs to change this season, and it is worth watching how he does during his time in major-league camp. Rodriguez turned 36 last month and is coming off a season that looked to be the end of his career. But the possible future Hall of Famer is looking for one more shot with the Phillies. His fastball is not where it used to be, and today will be his first look against live hitters. The Phillies will likely know pretty quickly if Rodriguez has anything left.